Blog » Become a Party Planning Expert! 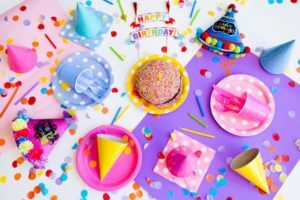 Become a Party Planning Expert! 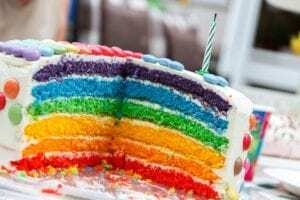 ⭐ Is organising your child’s birthday party proving much more stressful than you first thought? Is the budget getting out of control? Who will you invite? How many sandwich fillings are needed? and what will you put in the party bags?! ⭐ Don’t Panic!!!! Mumblers to the rescue! There’s been hundreds of posts over the years in the York Mumbler chat group about party planning which we will share, including tips and tricks to make it an enjoyable event and as stress free as possible! There’s lots of links at the end to local businesses, the local experts in providing the perfect children’s party, some doing all the hard work leaving you just to book it and turn up! If it’s a church hall you are after, then see the Mumbler Hall hire list HERE. A party in your own home may be an option, depending on the space you have, how many children you wish to invite and how much mess you are prepared to deal with afterwards! Or, there’s the option of holding the party at a venue designed for entertaining little ones, leaving your home mess free!! If you have a certain entertainer in mind then its worth getting booked up early. Some book several months in advance! The Mumbler website is full of suggestions. Some people choose to do the entertainment themselves. 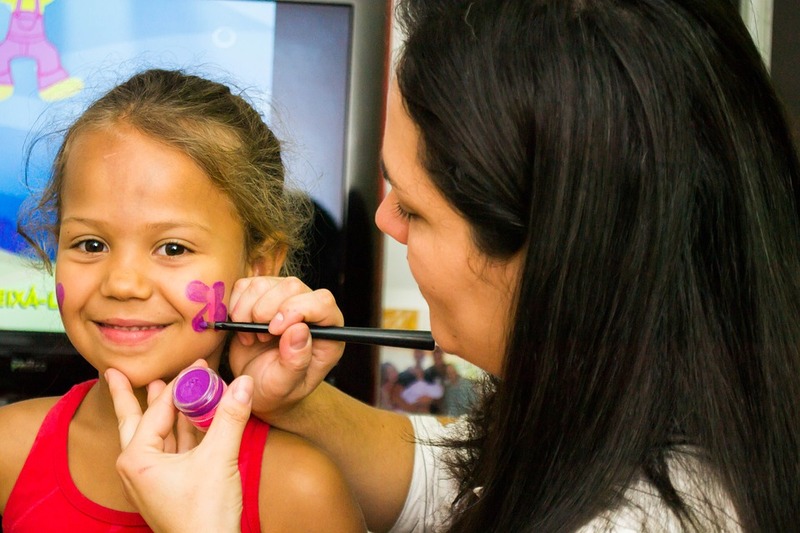 This could be with a disco, party games (see further on for ideas) or activities such as crafts, colouring in, face painting or with soft play or bouncy castle hire. You could easily go crazy and spend hundreds of pounds on a party. Realistically, for most people that’s not feasible nor it is often justifiable. Do speak to local businesses about your budget and see if they can work with you to fit with it, this could mean having fewer guests or less fancy food. Of course, a party in itself isn’t even essential. It may be a choice between a more costly present or a party? or a “party” could mean having a couple of friends round for tea, popcorn and a film. So pick a budget and work within it. If you are holding a party elsewhere, you may be limited to certain numbers so bear this in mind when sending out the invitations. 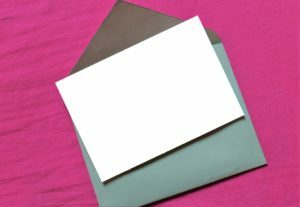 You can buy packs of invitations fairly cheaply where you can just fill in the blanks, or you can go the whole way and get them professionally made. Ensure to put an RSVP date on, and a mobile number is usually the easiest way for people to send a quick text to RSVP. Do make it clear if siblings are welcome and if there is any extra cost if they do come, also its a good idea to specify if you require parents to stay at the party or not. Don’t forget to ask about any allergies/dietary requirements so these can be catered for. If you plan on sending your child into school with invitations, it may be worth seeing if the teacher would be kind enough to pop them in book bags for you, just to ensure they get where they are supposed to be. “Mum used to put some items from the house in a pillowcase and sew it up. Each child gets a feel and has to write down what the items are. One who gets the most right wins. Most venues/party packages will have this covered so you won’t need to think about it. If you are hiring your own venue then be sure to check beforehand as they may have a sound system available to use. If not you could take a cd player, or play music via your phone and a speaker (e.g. on Spotify). 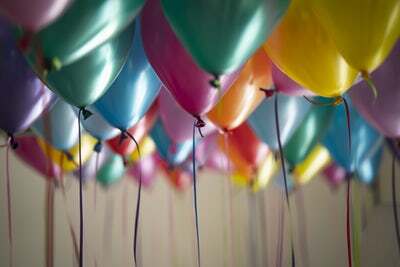 A few balloons usually does the trick, but you can buy bunting, banners, hellium balloon displays and much more if you wish. There’s a few options here. If you are using an outside venue they may offer a catering option. If you are at home / hiring a hall you could do a buffet, table platters, make ready made pack up boxes for each child or hire a catering company to take the hassle out of it for you. Remember to ensure any allergies are catered for (just ask the parents if unsure, most would be very happy to advise or bring something along so their little one can join in). A range of options once again. You could check out the Mumbler recommended cake makers, make sure you book as soon as you can. If you’ve been watching bake off and you think you can take up the challenge of baking your own, then go for it. If there’s lots of children coming to the party and you don’t think the main cake will be enough for all the party bags (or the party boy/girl would like to keep some of it for later) then its worth buying a swiss roll or cheapish cake for cutting up and handing out. These could be a sweetie cone, a bag with some cake and a few sweets or little toys, or an alternative idea such a wrapping up a book for each child. With cups/plates etc you often buy large packs so there can be plenty left over for next time. You will likely have a fair few parties ahead of you so some extra thought now can save pennies in the long run. You could buy more generic accessories (e.g. no age or specific theme) meaning you can use the leftovers at the next party. A Happy birthday banner with no age could be used time and time again! The Mumbler website is full of contacts for local businesses happy to help you get your party sorted!